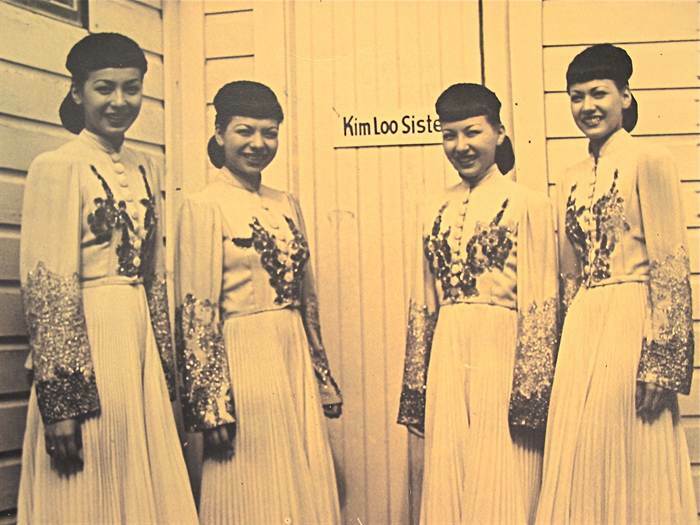 A feature-length documentary about a Chinese-American jazz vocal quartet popular on stage and screen in the 1930s and 40s and the first Asian American act to star in a Broadway musical revue and sing with the Big Bands. 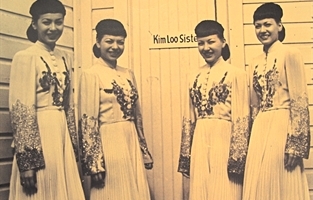 Set within the framework of the major events of the first half of the 20th century, THE KIM LOO SISTERS is the intimate story of four sisters -- daughters of a Chinese 'paper son' and a Polish refugee -- who overcame poverty and prejudice to become a popular American jazz vocal quartet in the 1930s and 1940s. 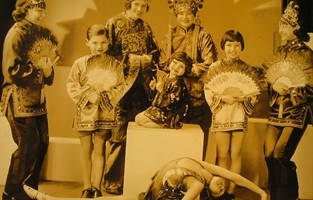 Their rise from local kiddie revues in their hometown of Minneapolis during the Jazz Age, to the vaudeville circuits crisscrossing the country during the Great Depression, to the Broadway stage and Hollywood screen during the Second World War is chronicled through first-person interviews, personal memorabilia and archival newsreel footage. 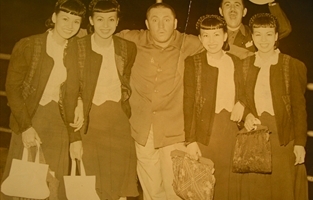 By turns touching, feisty, provocative and humorous, the film -- now in post-production -- is more than just the story of four biracial siblings whose roots are Chinese but whose reality is American, it serves as a vivid historical record of 20th century America and sheds light on such defining -- and controversial -- issues as cultural identity, immigration, discrimination, race and gender -- broadening the historical narrative and redefining what it is to be American.